Got a pretty good group of interesting/exciting trailers for you today. ENJOY!!! The Bachelorette. Reminds me a bit of Bridesmaids, here is a film about a group of bachelorettes who get together to celebrate the arriving nuptials of their “friend” whom they used to ridicule back in high school. Starring Kirsten Dunst, Isla Fisher, Rebel Wilson, and more, the wedding bells are set to ring on September 7, 2012 (Look for it OnDemand in August). Life of Pi. This highly intriguing film from Academy-Award winner Ang Lee is the story of a shipwrecked son of a zookeeper who ends up lost at sea with the company of a Bengal tiger, hyena, zebra, and an orangutan. This adventure looks amazing and I can’t wait to see more about it. Look for Life of Pi to sail into theaters on November 21, 2012. The Master. Finally, a much more telling trailer for this film starring Joaquin Phoenix, Amy Adams, and Phillip Seymour Hoffman. Releasing this October (November in the UK), The Master focuses on a troubled war veteran and his attachment to and blind following of a charismatic intellectual who, leading several followers, appears to be hiding behind the label of “faith.” Expect this one to see another Oscar nom go to Hoffman (I’m calling it now). Jack the Giant Killer. Not a new trailer, but one that, possibly, has been forgotten since it has been pushed back to March 22, 2013. The tale of “Jack and the Beanstalk” is retold in this visual rendition starring Nicholas Hoult, Stanley Tucci, Bill Nighy, Ian McShane, and Ewan McGregor. Directed by Bryan Singer (who directed X-Men, and “reportedly” turned down X-Men: First Class for this film) Jack the Giant Killer looks to be an adventure of gigantic proportions! Little White Lies. Marion Cotillard and Jean Dujardin team up in this film that has already released in other countries around the world. Coming to theaters in the U.S. on August 24, this “dramedy” revolves around a group of friends whose secrets and desires threaten to drive them apart after a near-fatal accident brings them closer together. Man of Steel (both versions). These two trailers (one featuring the voice of Jonathan Kent/Kevin Costner, and one with Jor-el/Russell Crowe) are a quick tease for the upcoming DC Comics adventure: Man of Steel. Produced by Christopher Nolan, Directed by Zack Snyder, and Starring Henry Cavill as Superman/Clark Kent, look for Man of Steel to leap over several other movies in a single bound on June 14, 2013. *I have to say, that I enjoy the Man of Steel trailers with the original John Williams score a bit better. Check them out HERE and then you tell me. This beautiful multi-linear tale of connected life and love, brought by the creators of The Matrix looks so captivating via visuals and story. I can’t wait to see this one actually. Check out the newly released nearly-6minute trailer for this upcoming amazing adventure starring Tom Hanks, Halle Berry, Hugo Weaving, Ben Whishaw, Susan Sarandon, and more. It is set to release in theaters on October 26. What do you think? Are you excited to see this? My favorite trailers from today: Life of Pi, Cloud Atlas, and Man of Steel. Which ones are your favorites?? Limited Release: Ruby Sparks, Killer Joe, Sacrifice, and more. And the trailer for Jack the Giant Killer left me cold last time i saw it.I like Hoult, and i figured with the combination of him in the lead role and the direction of raimi it would be a must-see for me but the trailer just didn’t grab me. Yeah. Not sold on Bachelorette one bit. I’m afraid it will only rake in dollars from fans of Bridesmaids hoping for a continuation and then being disappointed as they inevitably compare it. 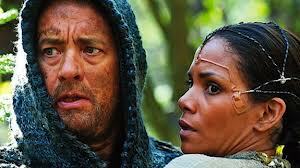 The trailer for Cloud Atlas is a bit woah. I have no idea about the book , the trailer seems to have a heck of a lot going on. Interesting, but think it overwhelmed slightly . The trailer for Life of Pi brought tears to me eyes . Beautiful trailer. Jack the Giant Killer looks like fun. Silly, but fun. I liked the look of the first trailer and this one looks just as fun. Cloud Atlas really intrigues me, but I completely get the “overwhelming” part. I hope the Wachowski’s really bring it with that one. Nice to know that trailers can still evoke such wonderful feelings such as Life of Pi. Oh and forgot to mention, really like the look of Little White Lies too. Looks like it could be a good, honest feel good film. ‘Life of Pi’ looks like a great Ang Lee film. Very surreal. Right in his unique comfort zone. Even if I personally think that the beautiful Bengal tiger would have noshed on the kid within the first few days. Is anyone else getting a distinct Charles Foster Kane vibe from ‘The Master’? The trailers for Life of Pi and The Master look really good. Definitely two films I want to see this year. Nice post. Thanks for checking out the trailers. I rather like the look of Pi myself.